1944. Douglas, a broken, solitary, Spitfire Ace, must overcome his past to lead a Lancaster bomber crew in the pivotal aerial war over Berlin. Determined to take the war to the skies of Berlin, Douglas Miller (Jeffrey Mundell) must take the place of an experienced crew’s cherished and respected Skipper. With the entire crew against him, Douglas must gain their trust and overcome his past to become the leader the Lancaster and her crew desperately need. 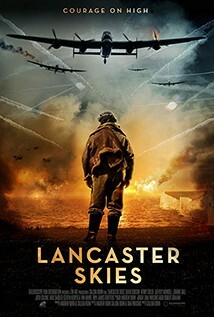 Shot on a micro budget in Lincolnshire, this is a loving homage to the classic British war films of the 1940’s and 50’s.